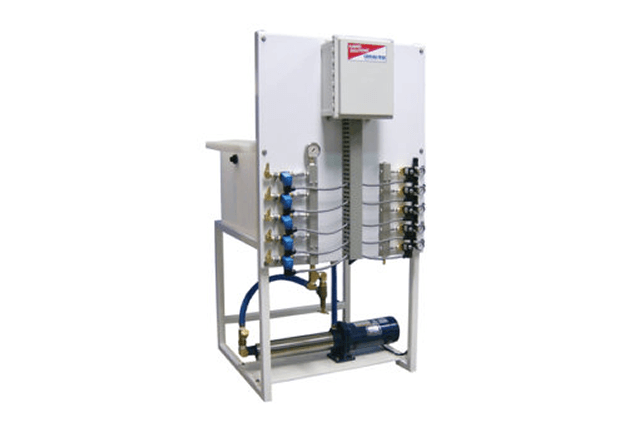 The compact design of this system is cost-effective and perfect for use with reclaim systems. Features an adjustable volume solution pump, stainless steel frame, and inlet strainer. It comes with a host of options including alternative pumps, a triple foam injector manifold and dual pump operation.